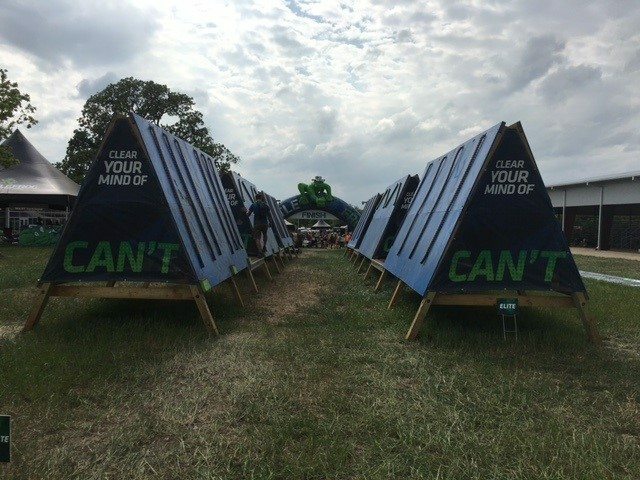 It’s 6 a.m. Saturday morning and everyone is excited, nervous, and anxious to try the new battle frog course at a new Venue. 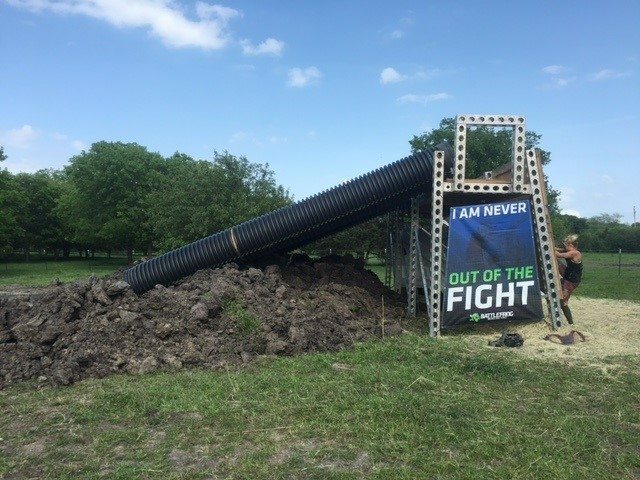 It’s Battle Frog’s 2nd year in Dallas (actually Mesquite), the new course is at the River Ranch Texas Horse Park. The game plan is to run in the elite wave, finish in two and half hours and go back and run it again to take photos some photos. What ensued was the longest I’ve ever been on a course, 6 1/2 grueling hours. I arrived early, started warming up, and talking to all my friends that seem to be at all the Texas races; Texas truly has some amazing competition and amazing athletes. Coach Pain is getting ready to inspire and motivate people, doing what he does best. I’m feeling antsy, so I get up to the starting line as I’m usually one of the first to the to the start line. I had seen Ryan Atkins earlier in the morning, but I thought he was just one of the race directors or the course designer. I was wrong. Everybody is competing for 2nd place when Ryan shows up to race; he’s going to continue his undefeated win streak. Hard competition is good though; that’s the reason I like to compete in the elite waves. It pushes you a little harder every time. After a well thought out, organized, clear and concise pre-race briefing from Adam Washburn, Chris “the beard” Accord counted us down and the race was on. Knowing the guy that placed 2nd in San Antonio was in 15th place until we hit the rig; I had an unorthodox plan. My game plan today was to take it easy and save myself as I knew there would be pile ups on the rig and that would be my chance to pass people. More on how well that plan worked out later. We started off, and Isaiah Vidal, which I didn’t know was even there, got right up next to Ryan and kept pace with him. As we rounded the arena, that’s where the course actually started. 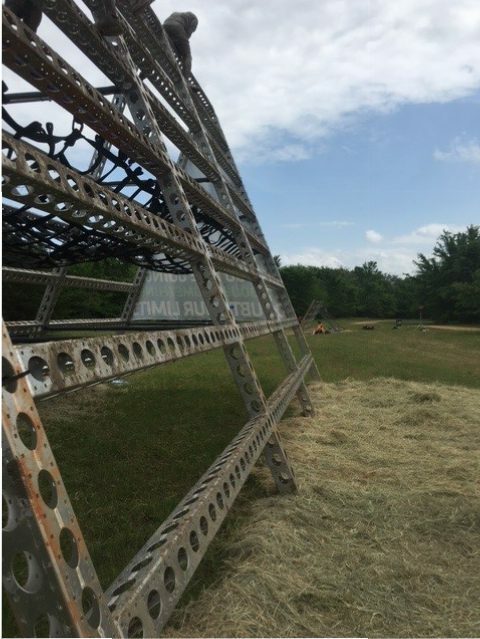 Right up ahead, the first obstacle was the Over, under, through walls, a staple obstacle in OCR. Everyone at this point was still running as a pretty tight pack. 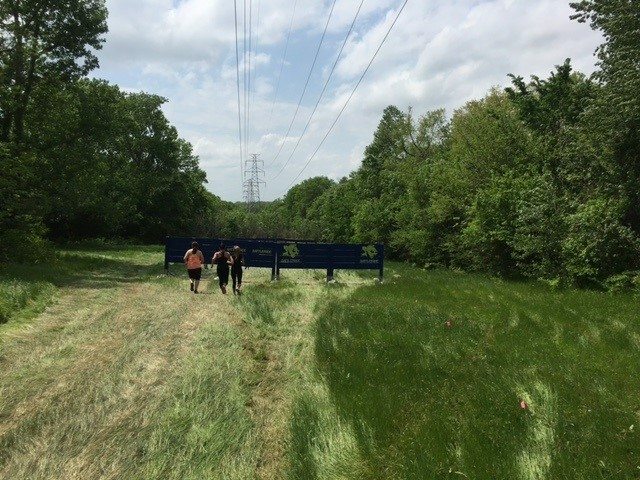 The course then leads into some very muddy and technical ravines. I’m shorter; my legs are not very long, I usually power walk through the water to conserve energy for running. This is how I lost a good ten places. 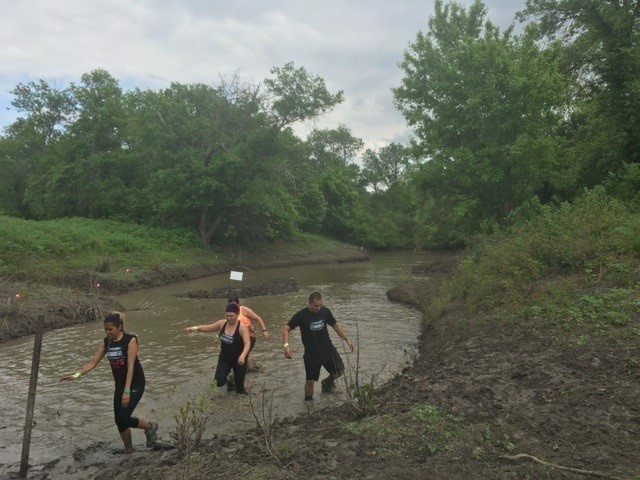 The ravine kept leading to some muddy bog areas where you would keep getting in and out the water. I say technical because the ground in the ravine wasn’t even and there were a few tires somebody had thrown into the water. I’m sure the venue owners didn’t know about it, as I believe that section was close to a fence with a road on the other side. We finally make it out of the water to a short run right into one of everyone’s favorite, “the jerry can carry”. This time, there was a twist; the Normandy jacks were there as well. After carrying your jerry cans for a very short loop, you then had to drag your jerry cans under the wire and through the jacks. We probably had it the best because the course was still untouched at this point, thus making it easier to drag them. As the day would go on, that little section would become too muddy, the jerry cans would take on a lot of extra weight from the caked on mud. Not that long, not that bad, and I was proud of myself because I never put them down. Now, to let the grip recover as my focus was on the platinum rigs. From there it was a nice little run into a couple walls, including the ladder wall, delta ladder, and ramp walls. After the series of walls, we came to the 50-pound wreck bag carry. Once again not bad at all. The loop you had to run with the bag was relatively short. After the wreck bag carry was the 12-foot rope wall, which was once again pretty easy due to the fact everything was still pristine. Now is when it starts to get hard, and the pace of the day was set out for me. I knew something was wrong when I came up to the weaver and I saw another athlete whom will remain nameless, amongst a huge line of guys there. He’s a great guy and a better athlete than me, we’re built the same except his running engine is much better than mine. I asked him “Hey man what are you doing here?” He told me he was on his 4th try on this obstacle, I knew this wasn’t as easy as I thought it looked. 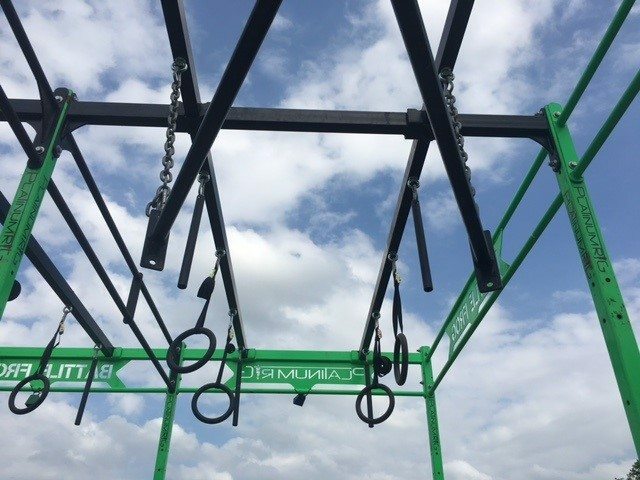 The concept was simple, grab the first ring, swing to the rope and climb it, ring the bell, and then transition back down the rope, and then to a third ring. The rope was muddy and slippery from all the guys that beat me there. You would grab it and just slide right down. I finally climbed the strap holding the ring and then transitioned to the upper part of the rope that wasn’t so muddy, rang the bell and swung to the second ring. After a few attempts, I started to wear my grip down. 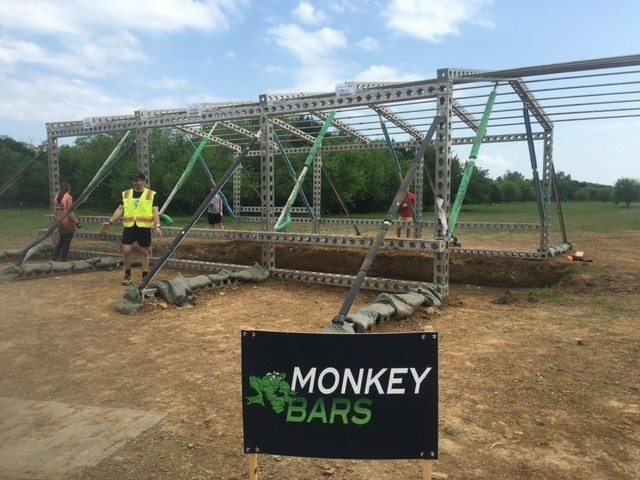 After that challenging obstacle was a wall and a very long set of monkey bars that went up at an incline, and then declined. 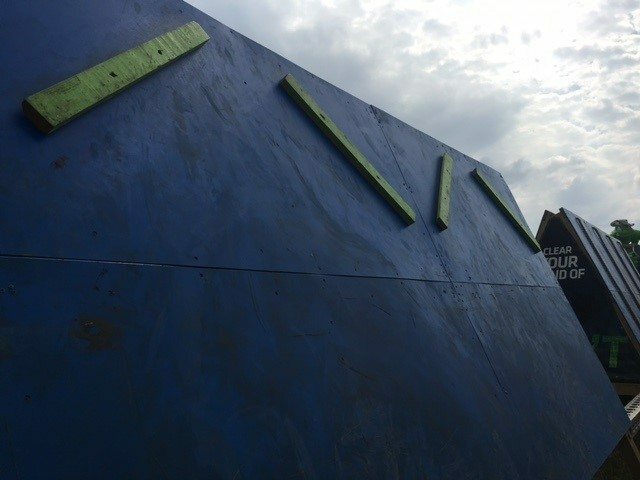 After the monkey bars, there were the wedge walls, where you transition from a leaning wall with rock climbing grips to a bell. Here is where it gets extra tricky because next up is three big mud mounds right before platinum rig #1. There were two tricky parts of this rig. One being the initial transition from the ring to the nunchuck in the middle, which in turn lead to bars that you would have to move under without touching the ground. The nunchuck was a problem on two levels, depending if you were short or not. 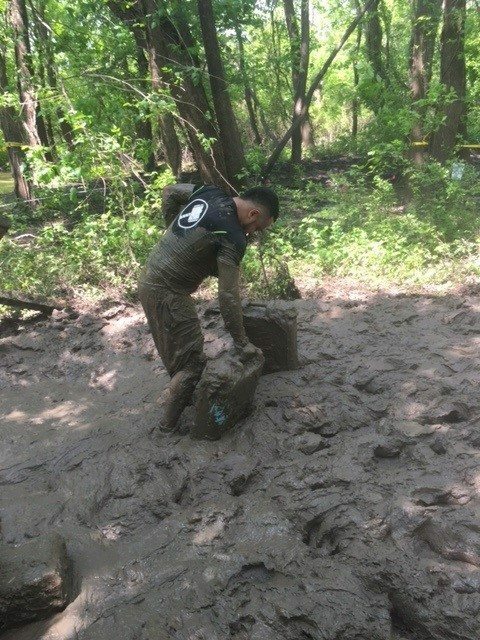 The common problem being that it was already muddy and slippery, and if you were short, it was hard to reach from the ring. I failed a couple of times, until I managed to finally successfully lache past the nunchucks (thank you obstacle warriors for the Lache skills) to the bar. 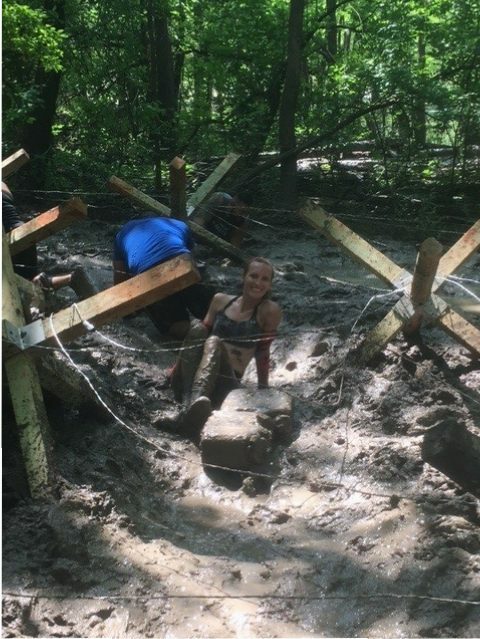 After you make it under the bar there, you had to transition to a rope which was muddy and slick with no grip. Are you starting to see a pattern here? I managed to grip high enough on the rope where it wasn’t as slick and very quickly transition to the hanging bars, then to the bell. EUREKA! FINALLY! POR FIN! A good bit of relief and then I was off again. I studied the map ahead of time so I knew the second rig was not too far ahead. Next were a couple walls. As I saw the second rig coming up, I hear Ryan Atkins about to lap me just like he did last year. I laughed and yelled at him “Oh no you don’t Ryan you’re not lapping me again this year”, to which he replied, “well run with me.” After about 200 meters I looked at my watch and realized we were running at a 5:30 minute mile pace. I knew that wasn’t sustainable for me and told Ryan “You’re a machine man,” and I slowed down as I knew I’d need my strength for the second rig. The first Rig was revered as the hardest, but this was still hard at this point. One of the top female athletes was there for several hours trying over and over. I almost make it on my first attempt, but I hit on the metal stands with my leg and the kind gentlemen working there told me I had to restart it. Fair enough, rules are rules. However, it would take me many tries over I don’t know how long to get past it as my grip kept failing when I’d get to the nunchuck right before the two rings that lead to the bell. I had never experienced this before; my hand just wouldn’t close by the end, and I could not complete the final transition. After a very long break, probably 10 to 15 minutes, my grip was back and I flew through it, I was almost done with the first lap. 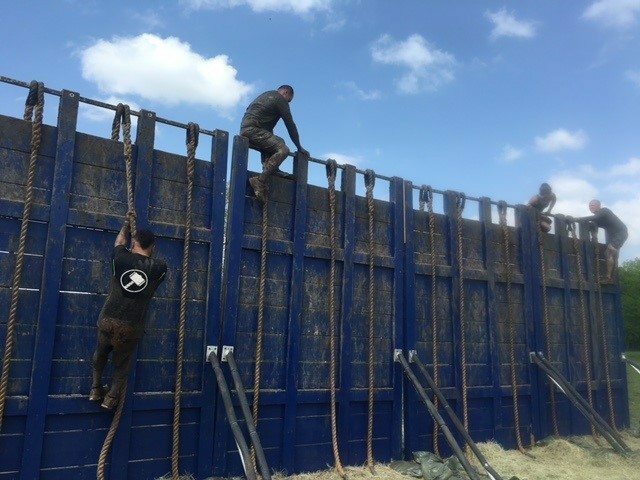 Next obstacles were fun, it was the HOOYAH, I believe it’s a 12-foot wall which leads up to some tubes that you slide down into some chest high water. Everyone likes the cargo net, which is what proceeded, it went over the main entrance so you got to see buses and cars go under you. They got to see my bloody body crawl up the cargo net. I can see the finish line! Before I can start my second lap, in the way is the ever growing daunting “tip of the spear” obstacle. This obstacle used to be a joke to me but now as my grip was dwindling I started to have doubts. Self-doubt can turn to reality so fast. The worst thing you can do in a race is start listening to all those ideas, doubts, and excuses in your head. I attempted it twice and fell off. The ropes are easy, it was gripping the 4 M-shaped 2×4’s that was the hard part. I sat down to let my grip recover and noticed there was a section where you could rest in between the three different areas of this obstacle. I hopped up, flew through the ropes, and rested for a couple of minutes before taking on the challenging middle section. I made it through and then casually made it past the final set of ropes. Now it was time to do it all again. It was now that it became a mental game. 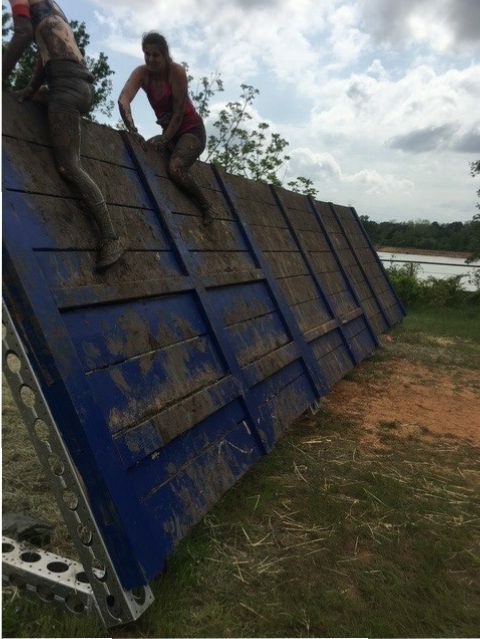 I knew what obstacles were up ahead, and I started to think “how am I going to get through them in my shape?” “Surely the rope is even slicker than before!” I make it through the walls, water, and normal obstacles. There it is again, the muddy, slippery rope climb with a twist. I once again try my original technique of climbing the strap that held the first ring, and I transition to the rope, only to not be able to touch the bell because my hands were starting to give out. I took some nasty spills from there out. When I finally do make it and hit the bell I didn’t have enough grip to come back down and fell the entire way onto my back, thank god there was hay there. I saw the monkey bars next, no big deal, shouldn’t be a problem. I get to the last monkey bar and my hand just gives out, and I fall back in the most comedic of ways giving everyone a good laugh and leaving me completely submerged. For the next 20 minutes, I would continue to give encores of that performance. Once I get past what should be a very easy task, I eventually come up to rig #1 yet again. This is where I would see some good friends and meet new ones. There was a sizable group of great athletes stuck here, and we rooted each other on as we all took repeated attempts. Many of us had muscles cramping and severe muscle spasms. Nobody wanted to give up their band. It became such a mental battle within ourselves. At what point do you call it quits? I’ve been on the course for 5 hours at this point, and I’m cramping and bleeding. “NO! I WON’T QUIT! I DON’T QUIT!” I would keep repeating to myself. After one of my new friend’s muscles had been visibly violently cramping, he decided to call it quits and I decided to give it one last shot. This time, I had a strategy. I would slump my body on the cross bar for a few minutes until my grip strength came back. It works, and I get through it. From here out it was easy as I got the 2nd rig on my 2nd try because I rested for about 15 minutes when I got to it. I employed the same strategy I used to conquer tip of the spear the first lap. There it is the finish line. The heavens opened up and I saw doves fly through, I heard a chorus singing as I finally cross the finish line to receive my medal with band intact. Overall the Battle Frog staff are wonderful, inspirational, and helpful. There were a couple of serious injuries, but the staff did everything they could as fast as they could to remedy the situations. 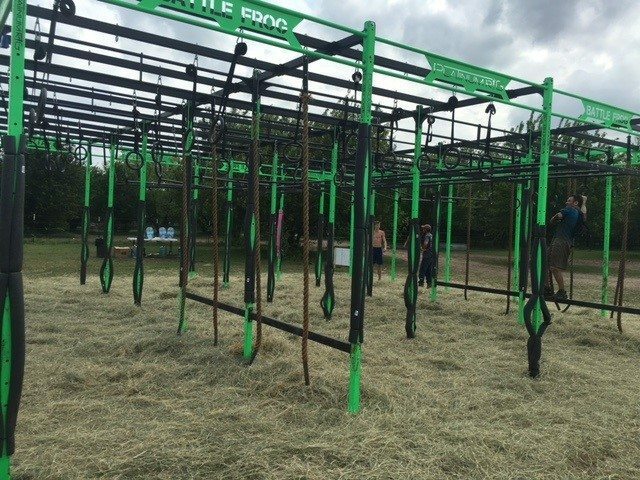 Battle Frog is such an entirely different race than most OCR’s because there is such a focus on upper body and grip intensive obstacles. I believe the unsung heroes of this race were the two proud, and hard-working, gentlemen that manned the porta potties all day and worked to make sure everything was the cleanest and readily accessible available as you can hope for. The terrain was great for Texas athletes, as it was pretty flat for the most part. That’s the conditions we are used to training in on a daily basis. The buses that escorted everybody to and fro parking were plentiful and efficient. At the end of the day, Ryan took his usual first place on the podium next to 2nd place Van Tran, and the energetic and kind Beni Gifford placing 3rd. In the women’s Elite, Alexandra Walker got first place, followed in 2nd place by Wendy Warner, and in third place Nikki Call. Congratulations to ALL the amazing people that came out. 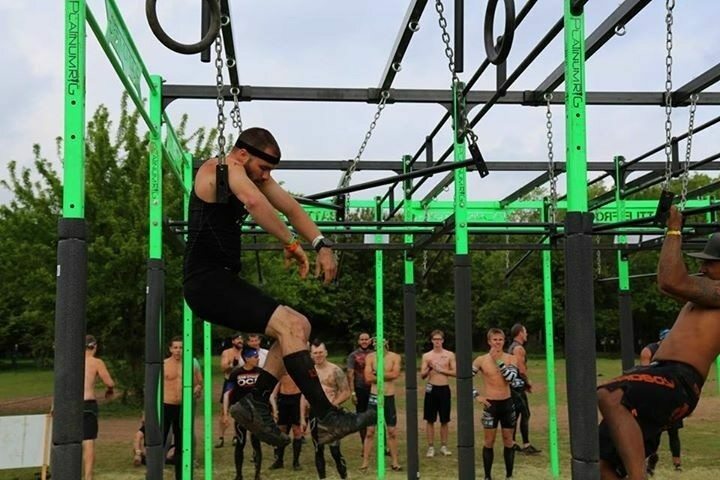 Miles Keller is a competitive OCR athlete whom resides in Keller, TX but is from all over the south. Miles started out to get fit and then evolved into pursuing OCR podium dreams with a passion, drive, and burning desire to keep going that he can't explain. When Miles Keller isn't competing for the podium in the first wave of the day, he enjoys going back through the open waves to take pictures for race reviews, and most of all helping everyone along the way. If you ever ramped off a guy's back to get over the wall, that was probably Miles' back. 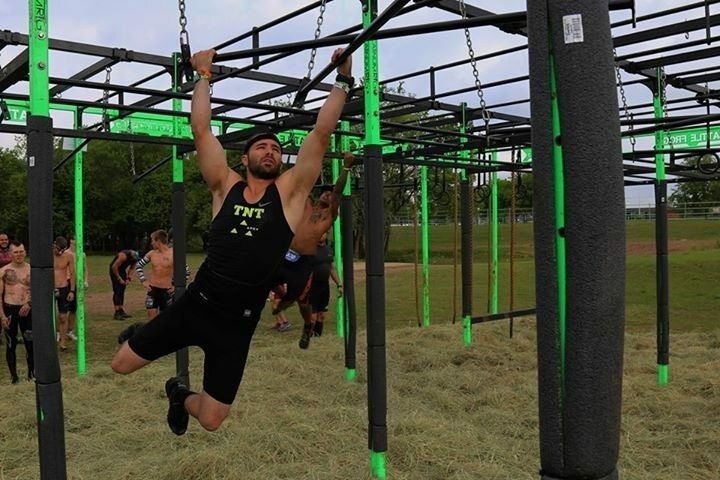 Miles Is an Obstacle Warriors pro team member and regularly competes in ninja competitions. Miles Keller also co-hosts the Link Endurance podcast. With the words "yell at me" usually in sharpie on his chest and back he truly is an OCR addict.